With most hunting and outdoor activities, comfort is directly related to your clothing. A good pair of upland pants is critical to your success and comfort when out in the field. As an avid hunter and enjoyer of nature, I’m always on the lookout for a good pair of pants. Nature has a way of tearing through even tough jeans, and the wrong pants will create snags and slow down your progress, no matter what you are trying to accomplish. After getting sick of all the snags and issues with my standard jeans out in the woods, I made the switch to upland pants and never looked back. 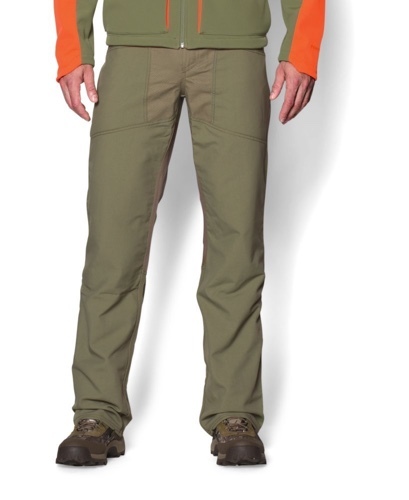 Upland pants are a more durable set of pants for use in the outdoors. They’re generally made of a blend of cotton and nylon, and they won’t snag as much as denim does. That’s because the woven material is finer and most briars won’t cling to it. You can walk through brush unhindered, and get through most thorns without getting pricked. I’ve been through several pairs of upland pants, and over that time I’ve learned what to look for, what I like and what I don’t like. 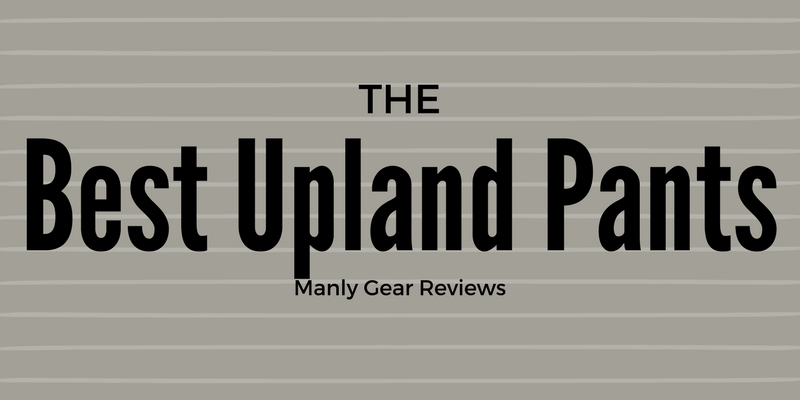 I hope to pass all that information on to you through these reviews of some of the top upland pants out on the market today. They aren’t cheap, but they hold up surprisingly well out in the wild, which makes the cost worth it. Durable – Good upland pants need to hold up to harsh brush over time. They shouldn’t tear easily and should keep going for months in the wild. 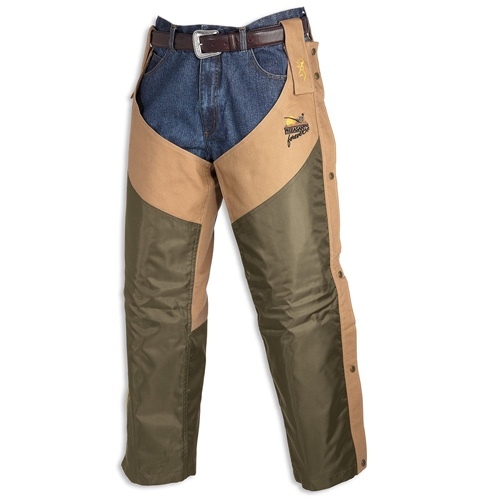 Water resistant – Few upland pants are waterproof, but most of the good ones are resistant. Your legs should remain dry in a gentle rain shower or walking through a field with morning dew. Comfortable – The right pants will be comfortable during regular use, so that you can walk around all day without issue. Good Fit – The pants should be sized to fit snugly while allowing a decent range of motion. When buying the proper size they should fit as expected. Nice Looking – This doesn’t matter as much as the other things, but many people want a good looking pair of pants, so we always pay attention to that as well. 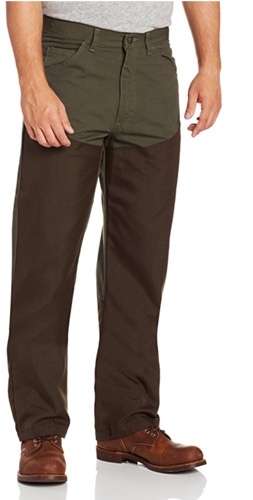 These Under Armour Men’s Prey Bush pants are a good quality tool for hunting in the brush. They’re resistant to thorns and other prickly pants, protecting your legs and preventing the need to pull them all out at the end of the day. These pants are surprisingly lightweight and ideal for warmer hunting days. They offer a good range of motion that makes crouching, climbing and navigating through thick brush a bit easier. They aren’t entirely waterproof, which is likely because of their cotton construction, but the UA bottoms keep from letting in water and the rest of the pants shed water nicely keeping you dry in light rain. The pants are a good mixture of tough and lightweight, making for a comfortable day out in the fields or brush when looking for whatever it is you’re hunting. 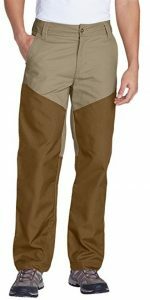 The Wrangler Men’s ProGear Upland Jean is a good quality pair of pants meant for the harshest conditions when upland hunting. It’s wrapped with tough 1000D Cordura, helping it hold up to sharp and tough shrubbery throughout hunting trips. The cotton blend construction of these jeans helps keep them relatively lightweight (they are 1000D after all) while making them comfortable and flexible. One important consideration to make is that the waist size runs a bit small, so buy up a size or two to make sure they’ll fit properly. If you get your size you’ll probably have to return them to get a size up for comfort. These pants are nice and warm, and will hold up to the early morning chill in many parts of the country. They aren’t meant for winter hunting in the north, but for a brisk day they’ll do just fine. The contrasting paneling doesn’t just add strength to these pants, it also looks pretty nice too. When looking for a tough pair of pants for upland hiking and hunting conditions, the Carhartt Men’s Weathered Duck dungaree is a good tool for the job. It’s made from durable materials and holds up well over time. These pants are made from 100% cotton and reinforced at the front to hold up to thorns, scraps and debris. They feature a zip fly locked in place by a single button, and they fit nice and snug when sized properly. These pants come with built-in knee pad sleeves, allowing you to pad the front for dropping down on the knees regularly. They’re nice looking pants, have a pretty cool weathered look and come comfortable out of the package. 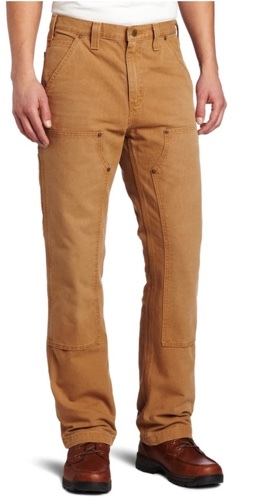 These pants are a good mix for hunters or working men looking for reliability. They shouldn’t change size after washing either, which means you don’t have to throw them in before wearing for the first time. These Browning Upland Chap pants are durable, comfortable and warm enough for use in a range of hunting and hiking conditions. They hold up well to thorns and don’t pick up briars during use. They are a bit small and should be purchased a size up for most people. Getting your standard size will likely cause a bit of discomfort. The chap pants are a mid-weight product that holds up well under normal hunting circumstances. They aren’t thick enough to stop a cactus thorn, but will stand up to regular thorns just fine. Slip them on before heading out into the wilderness and you’ll enjoy more comfortable hunting conditions without as many snags. They will still tear though, and will wear out just like any other pair of pants over time. Eddie Bauer has a well-known reputation for producing quality pants that hold up nicely over time, and these Yakima Breaks are no different. They stand up to hard use over time thanks to their 500D Cordura nylon construction. The nylon wraps over top of soft cotton for comfort and a lightweight feeling. They offer a good range of motion, making most standard maneuvers easy and comfortable. They’re the perfect companion for use out in the woods or brush. The nylon material resists snags nicely and holds up in brush. The pants have a standard fit and are quite comfortable in most conditions. It’s easy to climb, bend down and hike in these pants. They have a casual beige appearance, and are the ideal tool for hunting in chilly to warm conditions. They’re a good all-around pair of pants. Add them to your hunting gear collection and you’ll be set for trips out into the wilderness.